All of marketing ultimately comes down to one thing: creating relationships. If you don’t understand this basic principle, you will ultimately fail as a book marketer. Think of it: What is publicity? It is simply creating relationships with people in the media who, if they like your product, idea, or service, will pass on that information to their audience in the form of reviews, interviews, stories, or notices. Think of it: What is distribution? 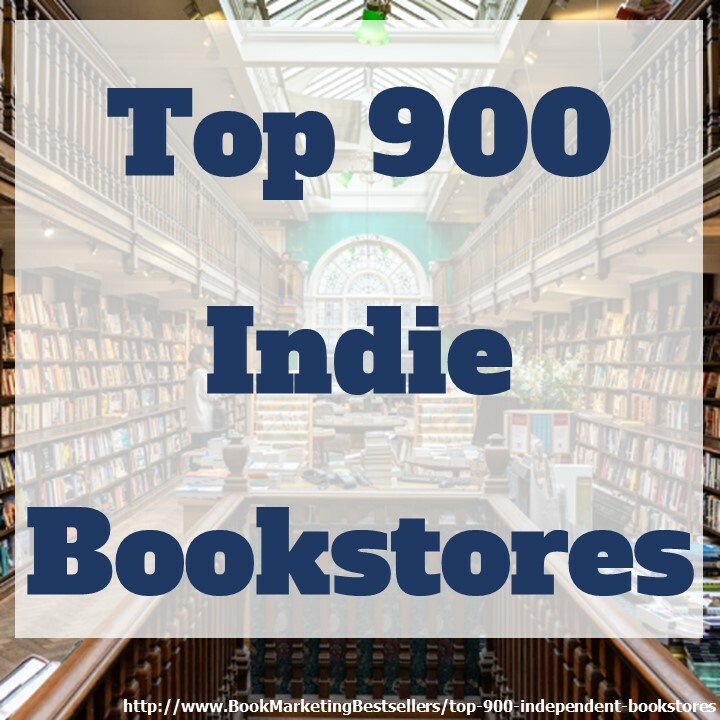 It is simply creating relationships with bookstores, wholesalers, and sales representatives who will make your books available to retail customers. Think of it: What are rights sales? They, too, are based on creating relationships with key companies and people who can exploit those rights better than you can. Think of it: What is editorial? It is simply creating relationships with authors, literary agents, and other people who can bring you good material to polish, design, and promote. All of book publishing ultimately comes down to creating relationships. Indeed, all of business operates the same way. Wherever you look in business, relationships are what make things happen: networking, the old boy network, the new girl network, customer lists, luncheon meetings, conventions, trade shows, chat groups, newsletters, blogs, social networks, and more. They all have one thing in common: Their primary purpose is to enhance communication and further relationships. Wherever you look in business, relationships are what make things happen: networking, the old boy network, the new girl network, customer lists, luncheon meetings, conventions, trade shows, chat groups, blogs, social networks, more. To help you create better relationships and market your books more effectively, here are a few basic principles you should follow. 1. Create your Kremer 100 list. Don’t try to be friends with thousands or millions of people. You can’t do it. Focus on 100 key media and marketing contacts (if you don’t have time to focus on 100, make the database 25 or 50 people). Develop this Kremer 100 database or list yourself. Find out what their addresses are. Also their phone numbers, fax numbers, email addresses, and URLs. Plus their cell phone numbers, perhaps even their home phone numbers. Your goal is to get to know their likes and dislikes, what moves them, and what they look for in a good story (if they are media) or a good product (if they are a buyer). You also want to get to know how they like to get info. Do they prefer email, fax, phone, or mail? 2. Be persistent. Once you’ve developed a database of key contacts, you must be in touch with them on a regular basis — at least once a month. Tell them something new with each contact. If you ever get an opportunity to meet them in person, jump at the chance. But the key is continual follow-up. It makes all the difference in whether or not you establish a real relationship. 3. Create a word-of-mouth army. 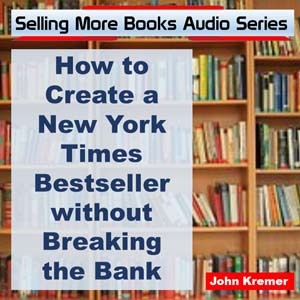 Since 80% of all books are sold by word-of-mouth, your primary goal in marketing your books is to create a core group of people who will spark that word-of-mouth. I like to think of these people as the officers for your word-of-mouth army, because what you ultimately want to create is an army of people talking about your book. In that army, you’ll have privates, corporals, sergeants, lieutenants, majors, colonels, and generals. The moment someone meets you, they’ve self-promoted themselves to at least a corporal. If they get an autograph, count them a sergeant. If they buy ten books for other people, promote them to lieutenant. You get the idea. 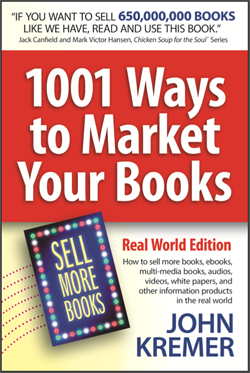 In my 1001 Ways to Market Your Books army, I have at least three five-star generals: Jack Canfield, Mark Victor Hansen, and Robert Allen. They’ve earned every star. I have many, many colonels. Note: If you don’t like the analogy of an army, then think of it as a parade, or fan club, or party. The reason I like the analogy of an army is because you can promote people in an army. 4. Become a people person. At home in Taos, New Mexico, I’m a quiet shy fellow. Here, few people know who I am or what I do. But when I go out to speak or to attend trade shows, I become a new person — a people person. Fortunately I enjoy that interaction with the public. If you are going to become a successful book promoter, you, too, will have to cultivate that fun feeling when you go out into the public. If you genuinely care about people, you will have no problem facing the public. Just open your heart and let it out. When speaking to the Women Writers of the West conference several years ago, I realized that when I talked about creating relationships, I was really talking about making friends. Because that is what every good marketer really does: They make friends — real friends. When you begin to think of marketing in this way, everything about marketing books becomes more fun. Suddenly there is no foreignness, no fear, no feelings of inadequacy. We can all make friends. It’s a talent we’ve had since we were little children. Use it. Take time out today to make some new friends — not just acquaintances, but real friends. You can start with your social networks and eventually branch out to creating professional relationships that are made up of real friends. I would bet most of us who started writing had no idea what the marketing would entail. I am comfortable with just a few friends but you are right, to market my book requires me first to market myself. If they won’t buy me, they won’t buy what I am offering. Such good advice. And it is the SIMPLE things — like remembering to take a handful of business cards with you when you leave the house!! I also like to give out book markers, even though most people read ebooks (the ones who I talk with, at least). But they still like a colorful book marker! I try to strike up a conversation about my book and give out a couple of cards a day.